It’s important to use actual parchment paper, not waxed paper for several reasons; read on for those and for other kitchen uses of parchment paper. 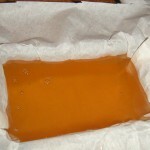 Parchment is not waxed with anything, but is fairly non-stick. I also use it in this way for baked goodies. I also use parchment paper when baking meats, but then I grease the top side with butter of coconut oil; home-rendered lard or duck fat are other options. When I reheat a leftover, I place it in an oven-safe container. If it doesn’t have a lid, I cover it with a piece of parchment that draws over the sides of the container, then a piece of aluminum foil on top to hold the parchment in place while the leftover is warmed in my steamer or oven. The parchment paper keeps toxic aluminum from leaching into the leftover; the parchment/foil combination acts as a lid for even heating. Wrapping ingredients for an ‘en papillote‘ dish with parchment paper. For example, see this recipe on my food blog: Lamb Shank Braised with Vegetables en Papillote. 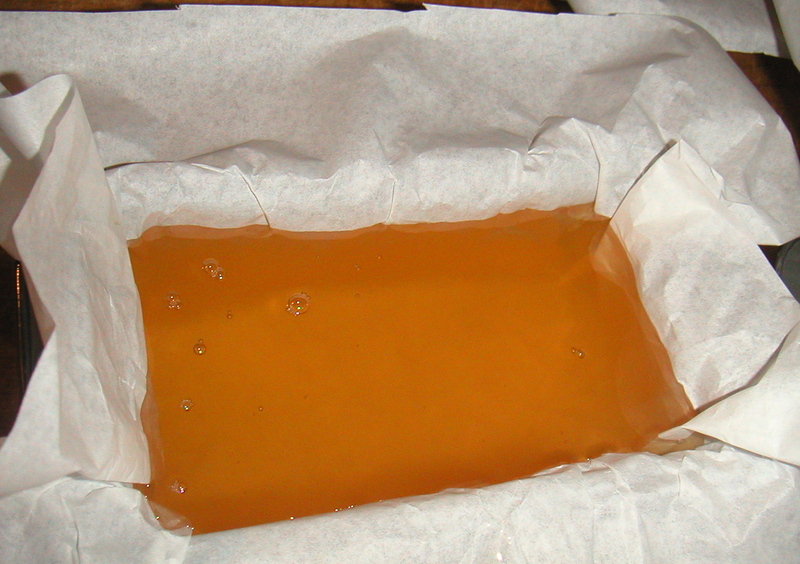 When making home-rendered lard, line a mold with parchment paper, then pour in the melted lard. When the lard cools and solidifies, fold the parchment around the chunk of lard for freezing. See photo, above, and see Rendering Lard in a Crockpot for more detail. This entry was posted on Sunday, March 19th, 2017 at 7:08 pm and is filed under Kitchen Hints. You can follow any responses to this entry through the RSS 2.0 feed. Responses are currently closed, but you can trackback from your own site.